A former regional manager at a Canadian extractives firm was recently reflecting on how, a decade ago, his industry viewed Corporate Knights. 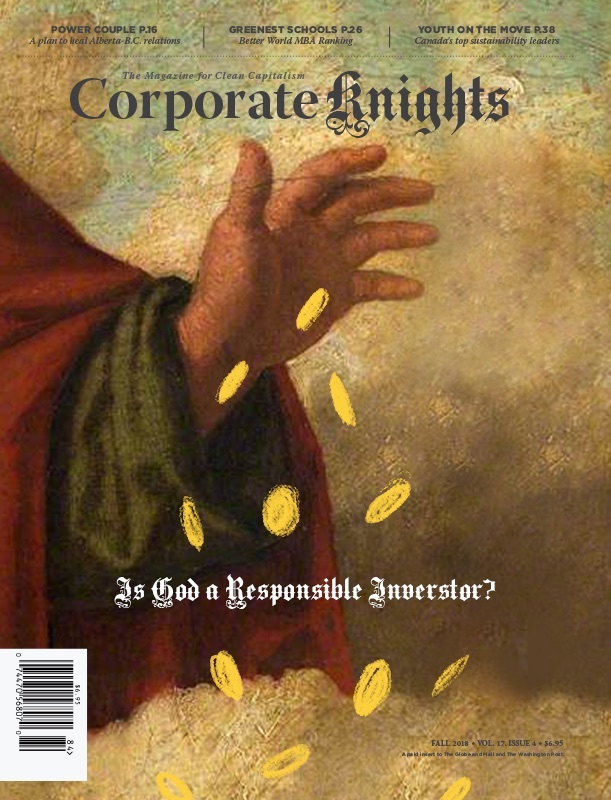 “The general impression then from within the company was that Corporate Knights was a constructive and reasonable voice – albeit a little idealistic – with unreasonable expectations about what a corporation can and should do in terms of social responsibility,” he explained in an email exchange. A recent book by John Taft, the chief executive officer of RBC Wealth Management, billed itself as “an effort to pick [the brains of experts] at a time when many of the quasi-axiomatic assumptions underlying modern capitalism are being called into question.” It featured essays on “fiduciary capitalism,” “sustainable capitalism” and “regenerative capitalism,” but more than anything it showed that business as usual isn’t going to cut it for much longer. Clever buzzwords aside, Taft’s book is emblematic of a corporate culture within Canada that is struggling to adapt to a rapidly-changing series of facts on the ground. Fears about income inequality and wage stagnation are sure to be front-and-centre in the upcoming federal election, and have begun to affect the public’s perception of the business community as a whole. Mounting concern about climate change has fanned the flames of a growing fossil-fuel divestment movement, while an empowered civil society has successfully delayed efforts to build oil pipeline infrastructure. Faced with federal inaction on the climate change file, a number of provinces have started to move unilaterally on carbon pricing, effectively bypassing Ottawa. Yet many members of the business community have also been acting as catalysts for change both within their respective industries and the country at large. While the Canadian business community should continue to face scrutiny and pressure to reform, one should look no further than the companies on this year’s Best 50 Corporate Citizens for the kind of leadership we need. A number of these companies were signatories to a letter, crafted by the Council for Clean Capitalism, which strongly backs the Ontario Government’s plan to put a price on carbon. Others that didn’t sign still offered constructive feedback during the province’s consultation process. Some of the largest oil-sands producers have even adopted a “shadow” carbon price in anticipation of future regulatory action. The top company on the Best 50 list this year is Tim Hortons, which completed a $12.5-billion merger with Burger King in December. 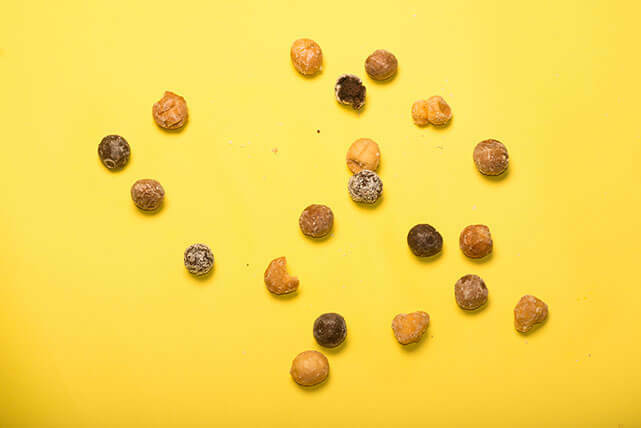 “Tim Hortons finished first this year due to a strong tax payment score over the past five years and impressive resource efficiency performance,” explained Michael Yow, director of research at Corporate Knights Capital, our sister research division (see Tim Hortons Best 50 profile here). Vancity and Mountain Equipment Co-op finished second and third respectively, continuing a tradition of strong disclosure practices and diversity in the workplace. Teck Resources, in fourth place, was the top company in the metals and mining industry, while telecom giant Telus rounded out the top five. Despite the majority of indicators demonstrating limited year-over-year change, several notable data points did emerge. One of these involved compensation and Canada’s Big Five banks. Although the banks may stand out as having some of the highest CEO-to-average-worker-pay gaps on the 2015 list, the gap actually narrowed this year – to 106:1 from an average ratio of 112:1 in 2014. Faced with pressure from activist investors and an increasingly skeptical public, the Big Five are taking steps that should reduce this ratio even further in the future. A study released by the consultancy McDowall Associates in April found that executive compensation packages for the four incoming Big Five chief executives were down 13 to 33 per cent compared to their predecessors. Targeted total direct compensation was down between 11 and 25 per cent. Another area of improvement for Best 50 companies is diversity in the c-suite. The percentage of women on boards of directors rose to 23 per cent from 20 per cent, while the percentage of women in senior management increased to 24 per cent from 22 per cent. While far from the 50 per-cent-plus threshold reached by diversity leader Vancity, it nonetheless represents significant improvement. Consider, for example, that as recently as 2011 female representation on Best 50 boards stood, on average, at 17 per cent. A decade ago, the call for this kind of progress was more easily dismissed as “unreasonable expectations” of what a company can and should do. Today? It’s looking increasingly like mainstream thinking within the business community.